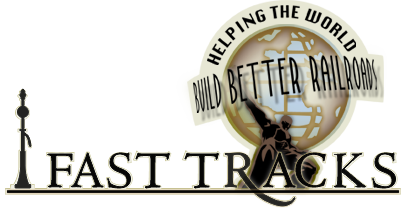 Part of the Fast Tracks Infinite™ Track System, this On3, Micro Engineering code 100, branchline curved track Assembly Fixture can be used to construct 42"R (1066.8mm), 45"R (1143mm) and "R (mm) curved trackwork (including full loops) quickly and easily. 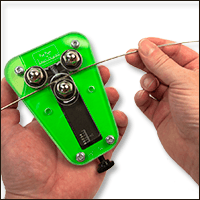 Build an infinite amount of track with a single assembly fixture! 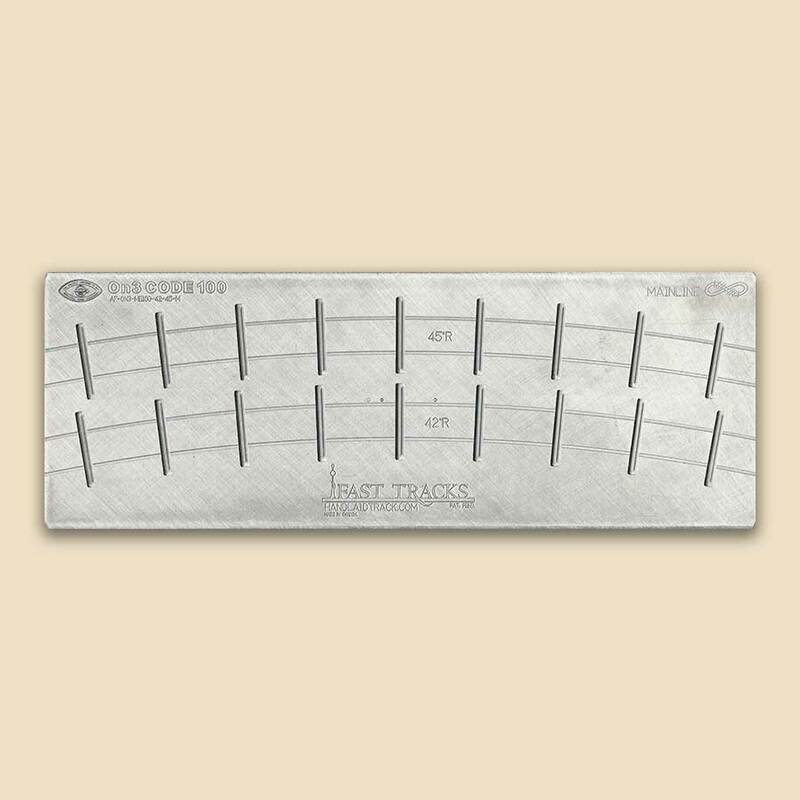 In addition to code 100 rail, you will also need to purchase matching " (mm), (5 scale inches) thick, pre-gapped, On3 CopperHead PC board Crossties manufactured by Fast Tracks for curved and straight trackwork. Our PC Board crossties match the thickness of the wood ties and are pre-gapped for DC and DCC compatibility. Track Gauge 0.757" (19.2mm) The distance between the stock rails.